We have a 20 stall barn nestled at the base of the hills of Brentwood. 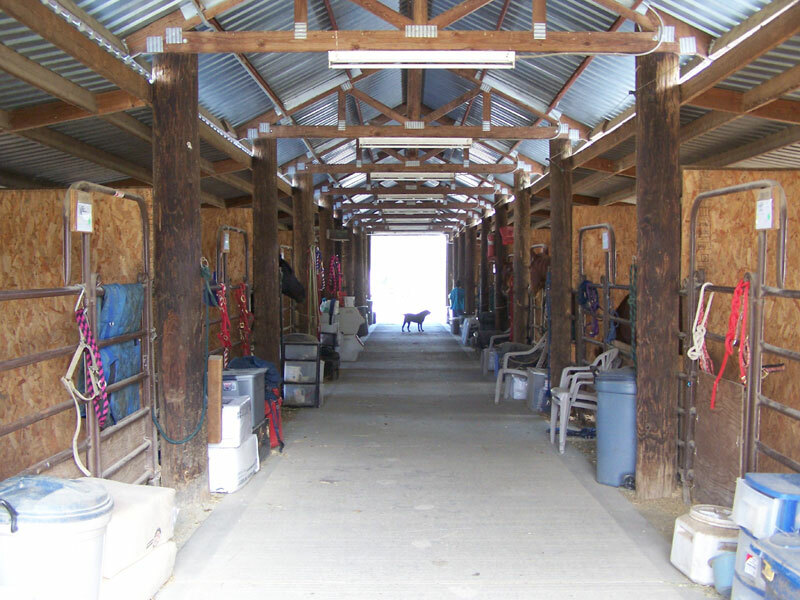 This barn has 10 - 12x12 gravel and matted stalls with 12x12 paddocks, and 10 - 12x12 stalls with 16 or 24 foot paddocks. 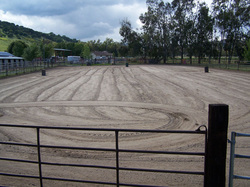 All paddocks are newly gravel, 1/4 by dust tamped, and lightly sanded for comfort. 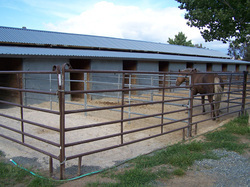 Other side of 20 stall barn with 24 foot & 16 foot paddocks nestled at hillside. 80 x 160 Covered Arena with lights, white washed cyclone sand, continuously watered and groomed. 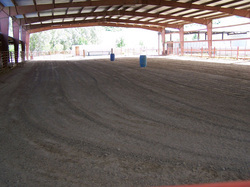 This arena also has 8 - 12 x 12 stalls with 16 foot & 24 foot paddocks. 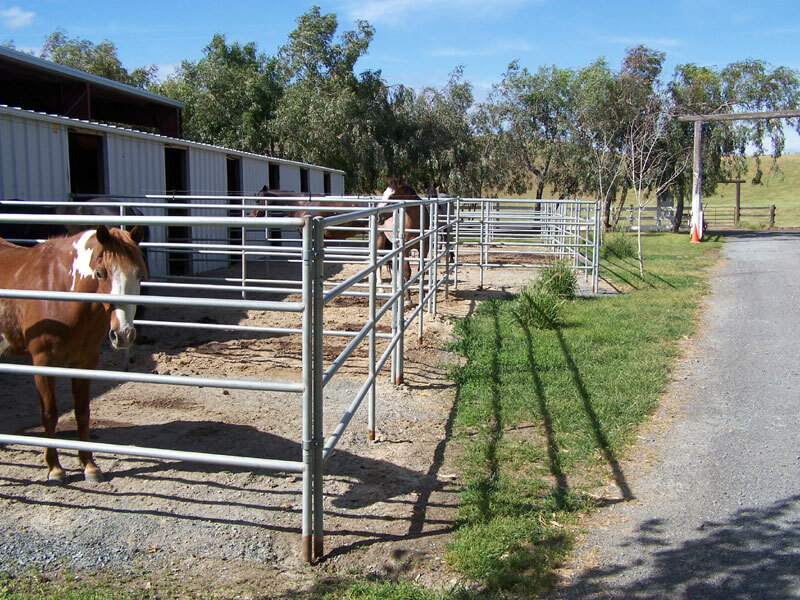 These paddocks are gravel & 1/4 by dust hardpacked with a layer of cyclone sand for comfort. Mud free!! 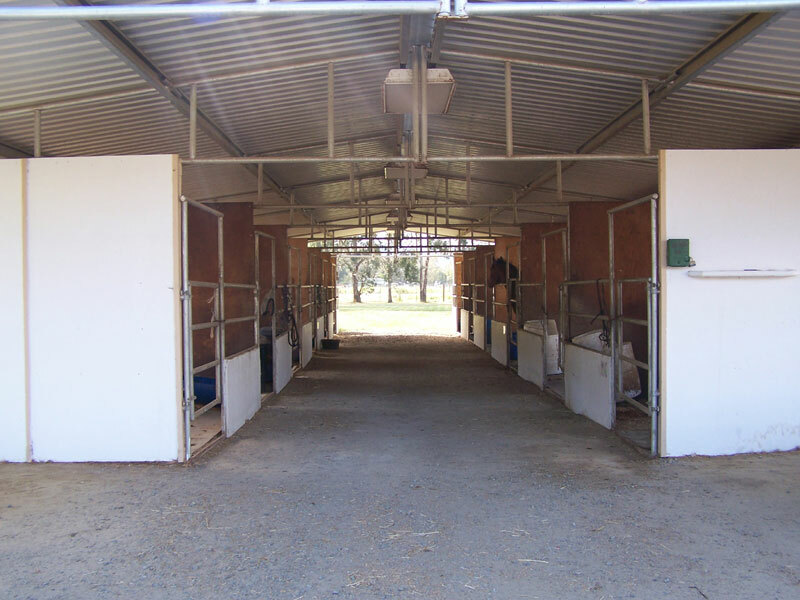 There are 2 box stalls on this arena which are going to be converted to a tack & feed room in one section and a tack up area with tie racks. 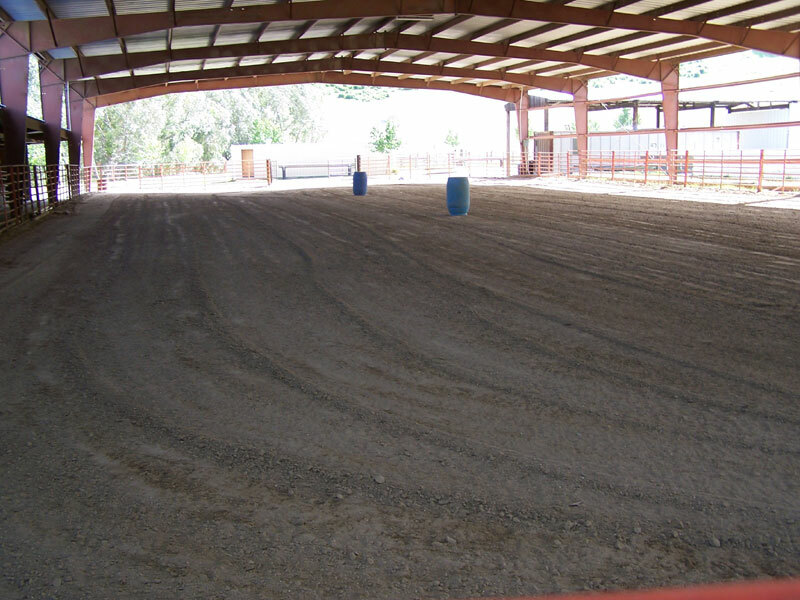 Awesome 127' x 240' Outdoor Arena with lights. 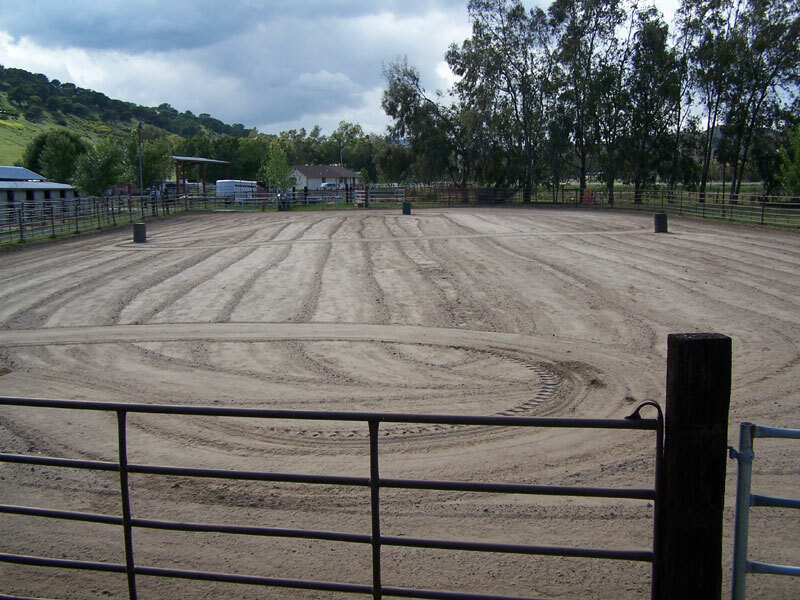 This arena also has white washed cyclone sand and is consistently well groomed and watered. We have 2 - 70 foot Round Pens. 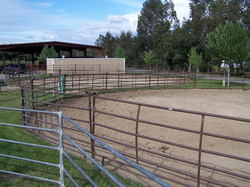 These Round Pens also have lights, are cyclone sand filled, and groomed frequently. This is our Mare Motel. 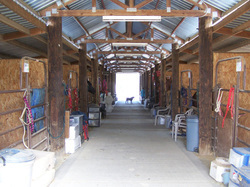 This barn has 12' x 12' stalls which are gravelled and rubber matted. There are no runs on this barn at this time. 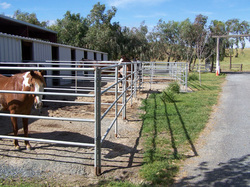 We will be adding paddock extensions soon on one side. This can be done sooner if the need arises. 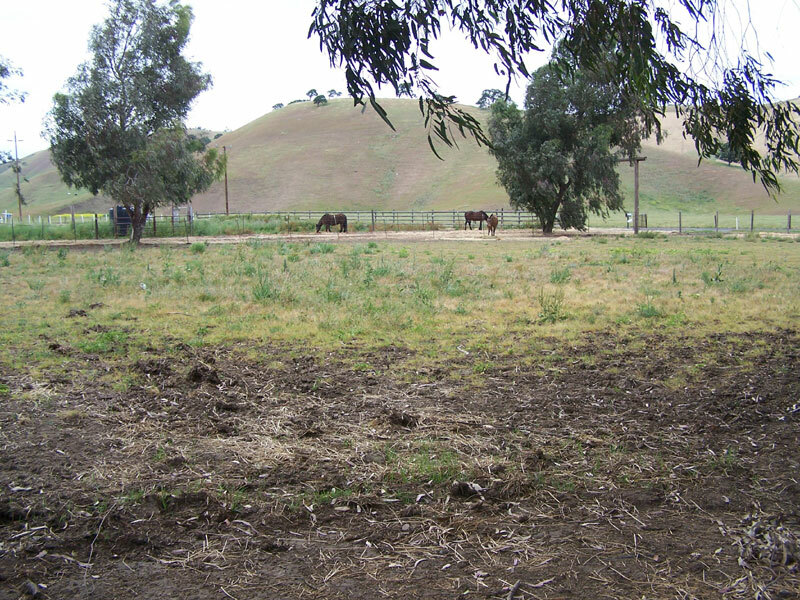 Our Pasture Area consists of 2 acres for the gelding side and 2 acres for the mare side. 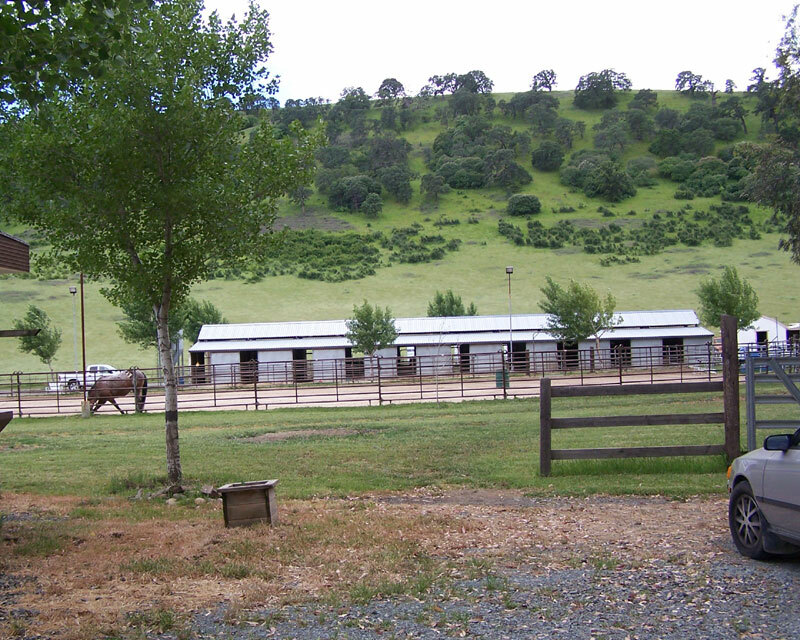 Our gelding side is tree lined for shade. We do on occasion allow a mare to board on the gelding side depending on the circumstances. 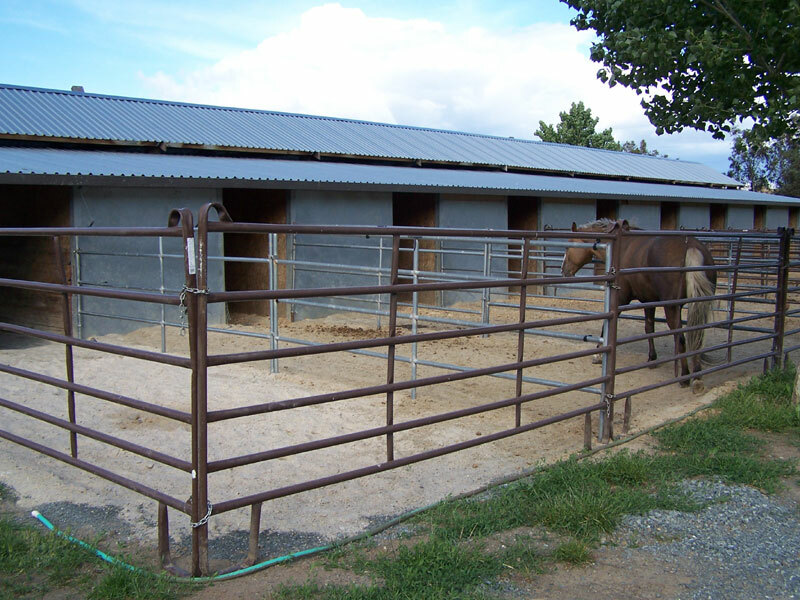 This pasture is currently T-Post and barbed wire as well as wood panel fencing. 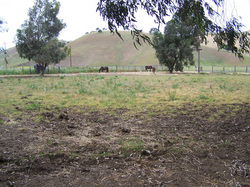 This pasture fencing will be undergoing construction this summer to install a safer type fencing.